Migos shook things up last year with C U L T U R E. The platinum selling project took their price up and earned them two Grammy nominations. The follow up to the chart-topping original has arrived and it's packed with 24-tracks. Guest appearances on album include Drake, 21 Savage, Gucci Mane, Travis Scott, Ty Dolla $ign, Big Sean, Post Malone and 2 Chainz. Producers on the LP include Pharrell, Metro Boomin, Honorable C Note, Zaytoven, Cardo, Ricky Racks, 808 Gods and more. The LP also includes the previously released singles Motorsport with Cardi B and Nicki Minaj, Stir Fry produced by Pharrell and Supastas. 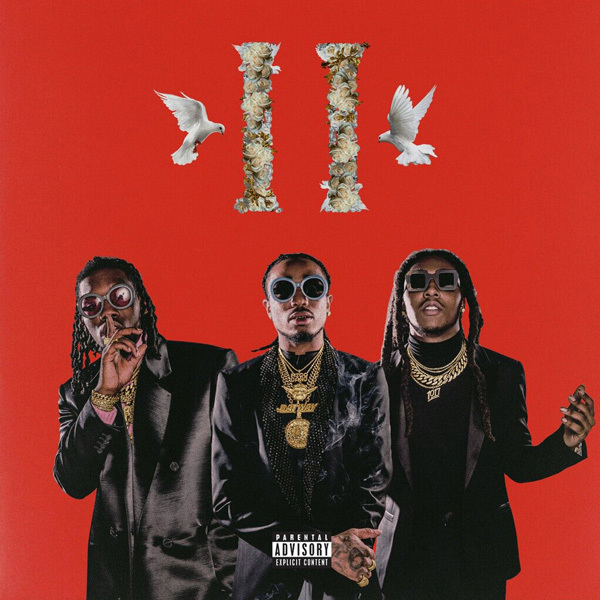 Stream 'Culture II' below via Apple Music.